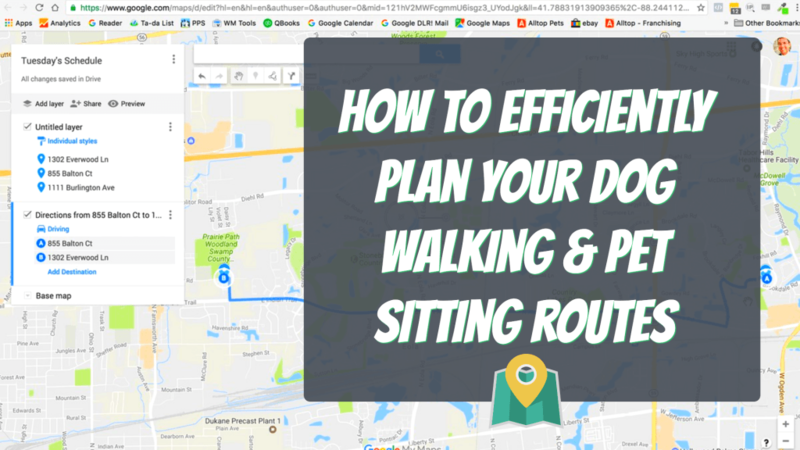 How To Plan A Route For Your Dog Walking & Pet Sitting Visits - Pet Business Masters! 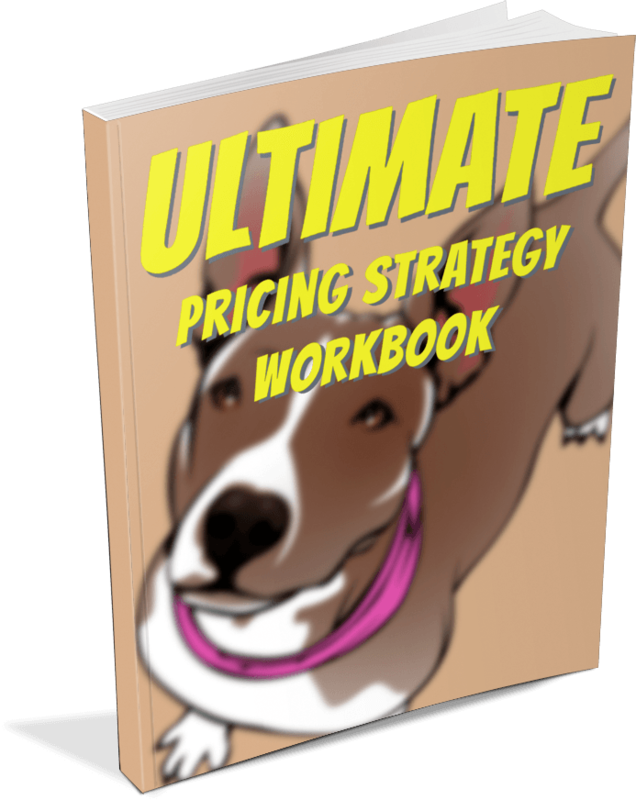 Discover the "perfect price" for your dog walking and pet sitting service by downloading this FREE pricing strategy workbook now. From the menu drop down, select "Your Places." Then select the "Maps" tab and click the button for "Create Map." Once you've got a blank map that you've created, you can give it a title. You'll want to use something descriptive, such as "Tuesday's Schedule" so you have an idea of either when the routes take place or who the route is for. Now that you've got a title, you can start adding destination points. Simply enter an address in the search bar to bring up ​your client's location. Once the destination is plotted on the map click the "+ Add To Map" link. Once you have all your locations added to the map, use the zoom in/out tool to back out enough to see all your destinations at once. Now that you can visually see all the places you need to go, you may be able to figure out the best route simply by looking at the map. ​However, if you need more information to help you figure out the most efficient route to take, you can get directions, mileage, and to-the-minute drive times to compare different route options. The best way to do this is to first pick a starting point on the map. Click on the balloon marking that starting location and then click the little forked arrow button to get directions. You'll notice a new box pop up in the left sidebar where you can add an address you'd like to get to. Add the address and then the maps tool will give you a visual route to take. If you want step-by-step directions, mileage, and to-the-minute drive times, click the "three vertical dots"​ button on your current map layer and then select "step-by-step directions." 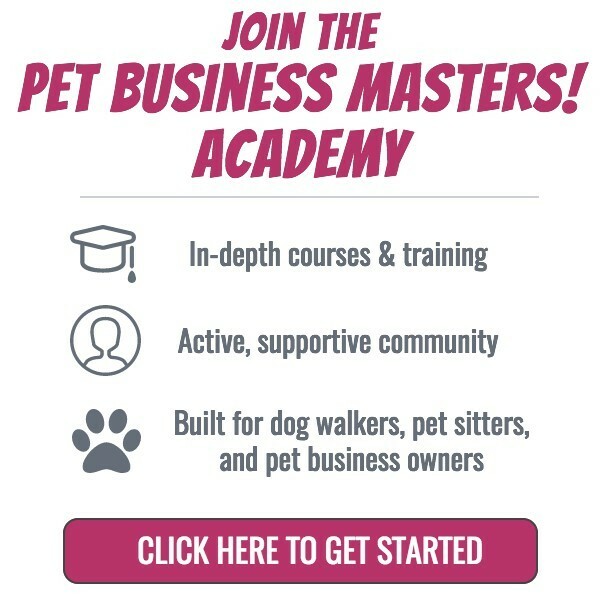 ​Efficiency is crucially important in the dog walking and pet sitting industry. Going back and forth between homes unnecessarily is a time killer and money waster. Knowing your route ahead of time let's you plan your daily activities in a way that makes sense and enables you to best serve your clients by being punctual for their requested visit time.